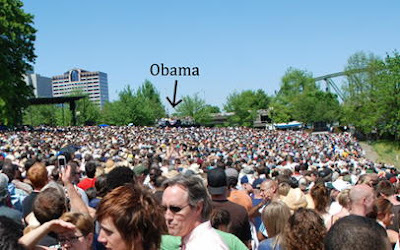 Click the above cropped snippet for a panoramic image from the crowd at the Portland Obama rally today (75,000 people!). There's even an Obama Armada of boats assembled listening from the river, and throngs seeming to enjoy the great weather and the next President of the United States. Edit: The image link is changed because the image host wasn't working.